This egg-fried rice recipe combines sweet peas, fresh ginger and salty bacon to create a perfect example of the beloved dish. For the right texture, make sure your cooked rice is well chilled before frying. See Shu's other fried rice recipes here. 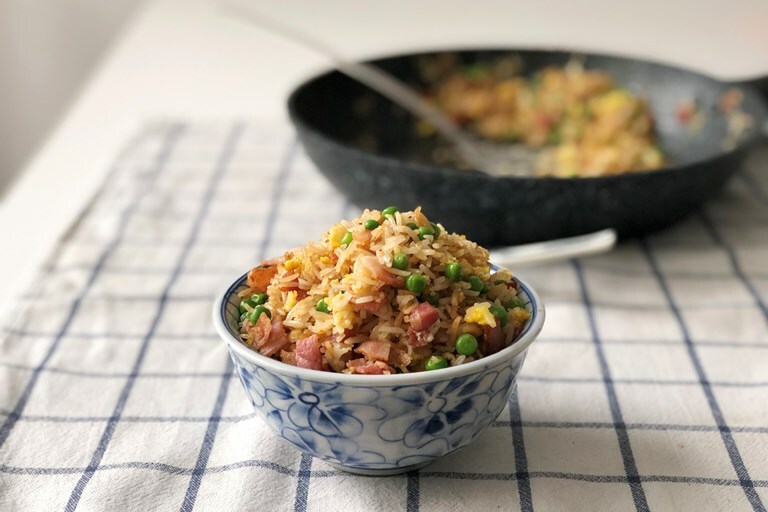 This version of the most popular fried rice dish uses smoked bacon and peas, and is a favourite of mine throughout the year. The smokiness of the bacon makes up a bit for the lack of wok hei ('the breath of the wok') from non-commercial stovetops, while the peas provide wonderful bursts of sweetness against the salty pork and fragrant rice.